Greats is Three! So Now What? Three years ago today, the world was a much different place. Cars needed drivers; sneakers needed store shelves; “avocado toast” wasn’t that big. On June 2, 2014, one of those three changed. Greatest moment from the past 3 years? For me it's not actually one moment, but a series of moments - each of them are unique, but they are better as a whole. In the end, the "greatest" moment is seeing Greats grow. What's your goal for Year Four? There is so much we have done well, and so much we haven't done at all. 2017 is a year of accelerating our pace a bit and seeing how fast we can run as a business. Launching our women's line. It only took us 3 years, but it was worth the wait! To expand the Greats family! We have a very loyal following in New York, LA, SF, Miami, Chicago, and our existing customers love our unique Brooklyn style combined with luxury quality craftsmanship. I'm excited to bring Greats to a wider audience both online and in soon-to-come retail stores. Going from playing lacrosse in an empty first office, to not having enough space for samples in our third! See a pair of Greats on every subway car. 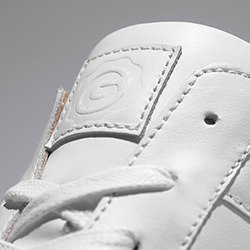 The Death To Tennis x Greats Royale Chukka. Greatest moment from past 3 years? Our anniversary dinner at Olmsted. It was a beautiful night with delicious food & drink and just an all-around great time spent out of the office with some awesome co-workers. What’s your goal for Year Four? Continue building out this Customer Satisfaction team with smart, happy, fun-loving individuals that will help grow the Greats community! Royale Vintage Pack w/ Red Suede Heel. Graduating and joining the team after interning since year one. To get more shoes on feet. I truly believe that our quality is hard to beat, all it takes is getting people to wear our shoes once and the rest will be history. Launching the women's line, then watching its incredible success! Continue to find unique ways to tell the Greats story and share who we are with the world. Brooklyn is such an amazing culture, attitude, and energy, and this year is going to be the year we take our storytelling and brand experiences to new heights. 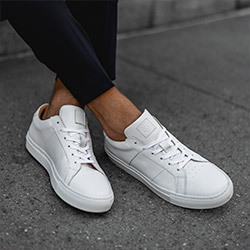 Since day one, Greats has existed for one reason and one reason alone: to bring Brooklyn style and quality craftsmanship directly to the consumer. We are still on that mission only because of you. Thank you all for your love and support - to year four, and beyond!